Attendees at this year’s Green Building Convention were able to experience a test drive in Solid Green‘s electric company vehicles, which include a BMW i3 and a Nissan Leaf. Guests who took the cars for a spin remarked on the surprising acceleration produced by the electric motors, the silence while driving and the regenerative braking. Electric vehicles (EVs) promise to be an integral part of the future of transport and energy in the green built environment – specifically with deployment of charging stations in residential, commercial and retail developments – which may offer vehicle-to-grid (V2G) virtual storage for renewable energy. Demand for batteries for EVs is also driving their price down and this promises to result in a market for repurposed EV batteries for use in the storage of solar energy in buildings. 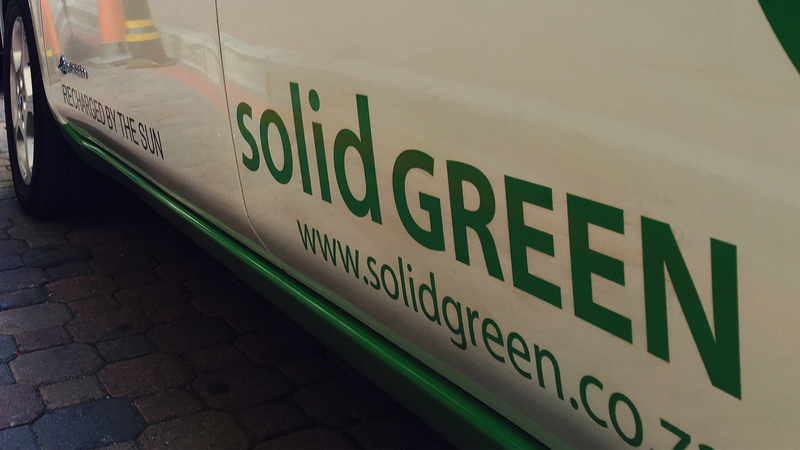 Using a Nissan Leaf as the company pool car, Solid Green is able to save around R3 000 in fuel cost per month and eliminate harmful emissions in the city. The car is charged with the Solid Green rooftop solar panel installation, thus significantly reducing the carbon emissions associated with driving. 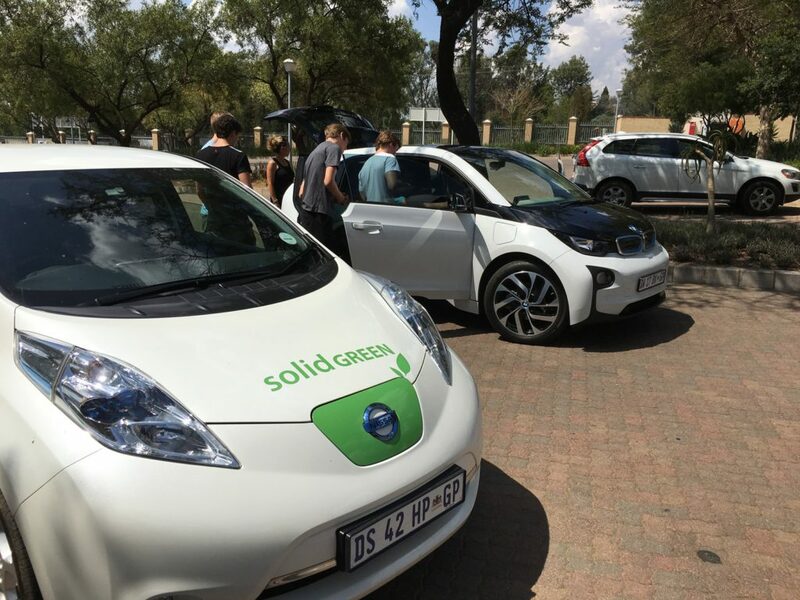 Earlier in the year, Solid Green’s Warren Gary and Dash Coville took six matric learners from Beaulieu College who are interested in engineering on a drive in the electric cars. The outing included a visit to the Corner Main Office Park solar installation facilitated by Emergent Energy, a tour of the Solid Green offices and a short presentation on building simulation.